We are the premier Association for researching & implementing 21 century Innovative Wellness Solutions & offering Integrative, Naturopathic & Pastoral Medicine support to improve the Quality of Life for those who suffer from Sickle Cell & Thalassemia Disease & other blood disorders. 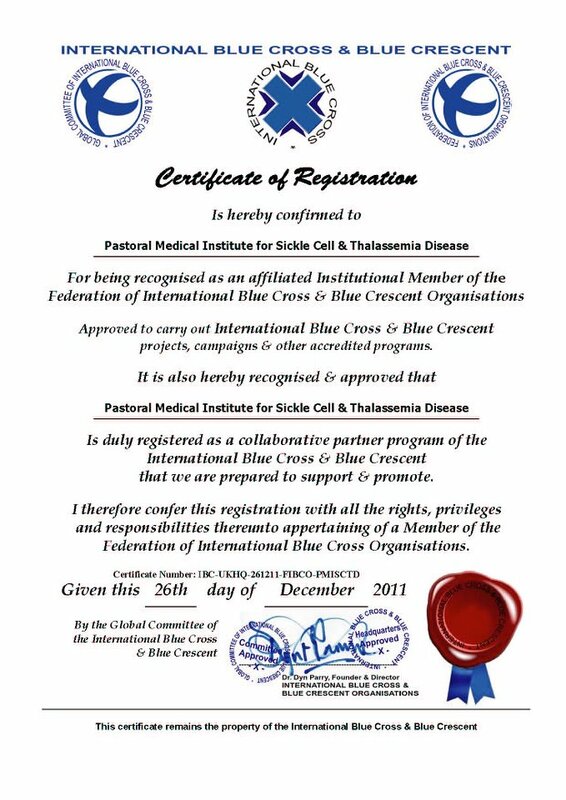 We provide global education, seminars and certification training to healthcare practitioners who are Licensed & Board Certified by the Integrative Pastoral Medical Association® or affiliated with the Sickle Cell Foundations in their respective states, so that they can be equipped with the knowledge, skills & true understanding to bring evidence based healing to those who suffer from Sickle Cell & Thalassemia Disease. 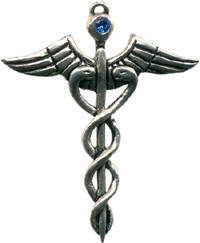 We follow the philosophy of treating the whole person Body, Spirit-Soul, not just the disease and symptoms. We believe in providing education to encourage a total lifestyle change for the optimal quality of life improvement. Diet, environment and mental wellness all play a role in the Healing process. Pharmaceutical drugs are not the sole solution to addressing sickle cell & thalassemia, except for instances in Emergency Medicine and acute care for relief of moderate to severe pain. We believe that many allopathic drugs, such as HydroxyUrea, are more of the contributing factors to sickle cell crisis & mortality rates morso than being apart of the solution. We find it non-progressive to the healing and recovery from sickle cell crisis due to the practices of many hospitals who treat patients as if they are drug addicts, a medical burden or down play the severity of the suffering of patients. We believe in advocating for Sickle Cell patients in crisis so that they can recieve 100% care & respect during their visit and/or stay in the Hospital and not simply patch work rushed emergency care to cover up the problem as if they are trying to get rid a burden by sending them home before the patient can even recover. We advocate that Hospitals should incorporate Holistic Integrative healthcare professionals, such as Naturopathic and Oriental Medical Doctors, into the healthcare system. Allopathic Medicine by itself is inadequate, however incorporating Integrating Naturopathic, Chinese Medicine & Homeopathic Medicine with conventional medicine would provide a more effective solution to the Wellness & Healing process of sickle cell patients and pretty much all other patients. Furthermore we are Advocates who are staunchly against Hydroxyurea® & believe based on our own research that the Western Medical Industry has contributed to & participated in medical genocide against African American & Middle Eastern Populations in their methods of treatments for Sickle Cell patients. It is our goal to educate & make every patient & concerned parent aware of the truth of this matter & eventually take legal action against the makers of Hydroxyurea & those physicians who knowingly knew of the detrimental affects of the Medicines they prescribe, yet covered up the info and administered such poisons to patients anyways. It is our belief that Hydroxyurea is a poison & we provide documented information directly from the source and makers of the Drug, the FDA and other government health sources so that the consumer and patient themselves can make an informed choice on the path they wish to take in regards to treatments and proper care. Hemathal Rx® & Fetal HemaThal Rx® New Formulated Natural Alternative Solution to Hydroxyurea® to support the optimal Wellness of Sickle Cell & Thalassemia Patients. 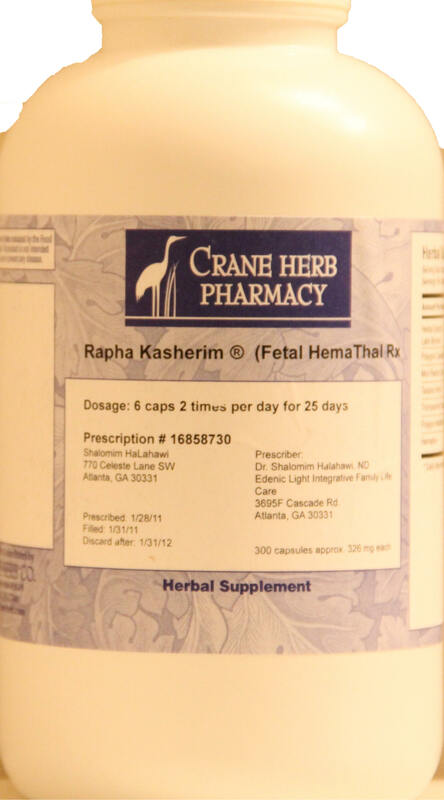 HemaThal Rx® & Fetal HemaThal Rx® are apart of our line of clinically researched & formulated Chinese Medicines food supplements called Rapha-Kasherim®, Which in Hebrew means to "to be fit, cleansed, whole & healed". Formulated according to the principles of Traditional Chinese Medical Sciences & available through an FDA/cGMP /HIPPA compliant registered Pharmacy. The herbal formulation was created based on the Research findings of the Georgia Health Science University & published research & clinical studies used by MDs, OMDs & NDs. & Naturopathic Materia Medica, which is clinically indicated to Induce production of fetal hemoglobin which decreases the sickling of red blood cells and reduces the painful vascular episodes associated with Sickle Cell & Sickle Thalassemia crisis. Also Increases production of Nitric Oxide & deals with other elements associated with the "true underlying cause" of sickle cell crisis . This Oriental medicine combinations is indicated to improve the overall health of the blood, digestive and immune system, kidneys and liver, enhancing your immunity, energy, and stamina, giving them a profound impact on your overall health and longevity. This formula was made to improve optimal health and performance in sickle cell patients. Helping with pain, blood circulation, boosting energy and keeping the immune, nervous, respiratory, circulatory, cardiovascular, digestive, reproductive and excretory systems balanced and healthy balanced to improve the life of one living with sickle cell. . Also used to treat various imbalances and sustaining optimal health in all people. It is indicated to be used for blood disorders, diabetes, respiratory problems, joint pains, liver and kidney imbalances, high cholesterol, anti- aging/ graying properties. Fetal HemaThal Rx® used in conjunction with a carefully formulated holistic therapy plan, which a "Certified" & Licensed Pastoral Medicine healthcare provider offer canr be customized specific to the patients unique condition, can significantly improve the quality of life for sickle cell patients. Including customized plans for nutritional therapy, therapies to address Acute Chest Syndrome & other respiratory issues, Immunity suppression, kidney, liver & spleen function, depression & mental health, gastric & intestinal issues associated with taking pharmaceutical drugs, swollen lymph nodes & Pharmacology and Pain Control. Licensed Pastoral Medicine Doctors & therapists are certified and utilize Homotoxicology, Oriental Medicine & Spagyric Homeopathic Medicines which are available through FDA/cGMP registered Pharmacies & Dispensaries. Available through prescription only!! Contact us to schedule an appointment: Local & National availability. Please visit www.edenic-light.com Edenic Light Integrative Family Life Care. Sickle Cell Disease or Human Enhancement? Hydroxyurea® Medical Genocide? You decide. We cannot tell you to stop taking whatever medicines your Physician has prescribe for you, but we provide the info for you to decide for yourself. Pastoral Medical Institute for Sickle Cell & Thalassmia Disease is an independent Institution, under the jurisdiction of the Ha' Yisrayli Torah Brith Yahad, At this moment we are not officially affiliated with the Sickle Cell Foundation, but continue to work in collaboration with those members who wish to incorporate holistic health and Eastern medicine into their outreach for sickle cell disease. We will continue to reach out to MDs, RN's and other allopathic Healthcare practitioners to bring them into the fold of providing advanced naturopathic medicine to their patients. © Copyright 2011 Ha' Yisrayli Torah Brith Yahad. All Right Reserved.